Cisco recently published their Annual Cybersecurity Report and presented the most common malware threats. 1. Reconnaissance: attackers look for vulnerable spots in internet infrastructure or network weaknesses that will allow them to gain access to users’ computers and, ultimately, to infiltrate organizations. 2. Suspicious Windows binaries and potentially unwanted applications (PUAs): suspicious Windows binaries deliver threats such as spyware and adware. Malicious browser extensions are an example of PUAs. 3. Facebook scams: include fake offers and media content, along with survey scams. With nearly 2 billion monthly users, Facebook is the perfect territory for cyber criminals. 4. Trojan Downloader: opening links in spam emails or downloading an image in emails, which can attach to the victim’s computer. 5. Browser redirection malware: these infections can expose users to malicious advertising (malvertising), which attackers use to set up ransomware and other malware campaigns. So, how to prevent malware? It goes without saying that you should invest in a good antivirus software. Read reviews and decide on one that matches your needs and price range. It will be money well spent—believe us, getting rid of viruses can be more costly in the end! Regularly check for updates not only for your computer, but also for your antivirus software. Updates are often security patches to keep you safe in between large updates. It is important to have these so your computer is protected from potential threats. You’ve heard it before—strong passwords are really important! You should never have an unprotected wifi network at home. Opt instead for a WPA or WPA2-encrypted password. For optimal security, use a VPN when you visit websites to create an encrypted “tunnel” between your browser and websites. Avoid websites that provide illegal and pirated material. If you receive email attachments from an unknown sender, do not open them. Bright “Download” buttons should be avoided, as they often lead to malicious software. One last trick: hover over a link and look in the bottom left corner of your browser to see where it’s really leading you. No one wants to think about it, but you should prepare for losing your data, even if you are safe online. Keep your files in multiple places—on a external hard drive, in a secure backup cloud, or even at a friend’s house. If you’re concerned about your online privacy, you’re not alone. 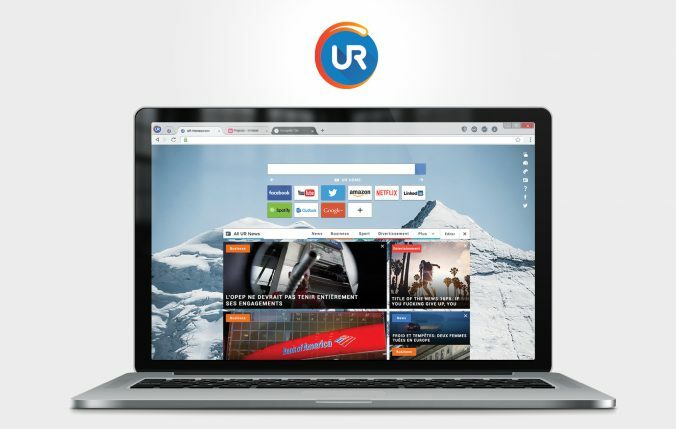 UR is a web browser created specifically to keep your online data private and safe. Learn more here.